Bethany Longmore Gets awarded the Top 20 for Extentions for Regis Hair Styling Salons! Bethany Kay Longmore was chosen as 1 of the top 10 by extension clients in the nation wide chain of Regis Hair Styling Salons. 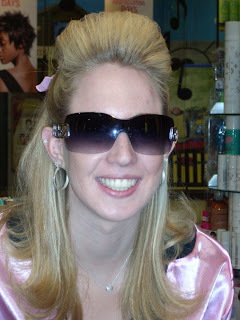 Note: This hairdo was for 50’s day at the Regis Styling Salon in the South West Plaza Mall in Littleton Colorado. This was Bethany’s first full-time job after she graduated from cosmetology college and earned her license.